This piece is my own creation. I’ve had it in my sketch book for years and it’s finally a reality! 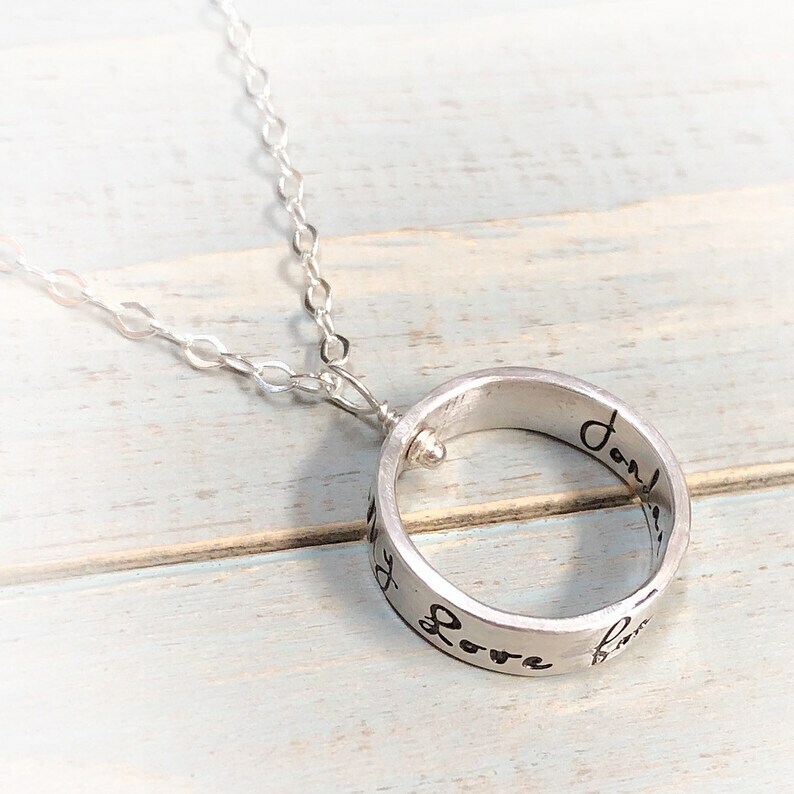 I’ve made a “ring” of sterling silver than can be stamped inside and out with a short message or names (length depends on font, but max number of characters including spaces is around 30. If you choose a larger font, probably a few less. I can work with you if you have questions, since I hand-cut and solder and forge these myself. This pendant is pierced and a balled pin ran through it, so it swivels! Really pretty and sleek, and if you’d like it to be “private”, this design affords that possibility. You may choose your finish and your font! Some symbols are also available (not all will fit, please ask if you are unsure). This piece includes stamping on both sides if you wish. Put Your Big Girl Pants On...necklace.